Inside Golf was the only Australian golf publication at this year’s PGA Merchandise show in Orlando, Florida. Over the coming months, we’ll show some of the coolest products we saw. Here are some of the early standouts. Alignment for putting is critical – being just one degree offline can mean the difference between a drained putt or a dreaded lip-out. 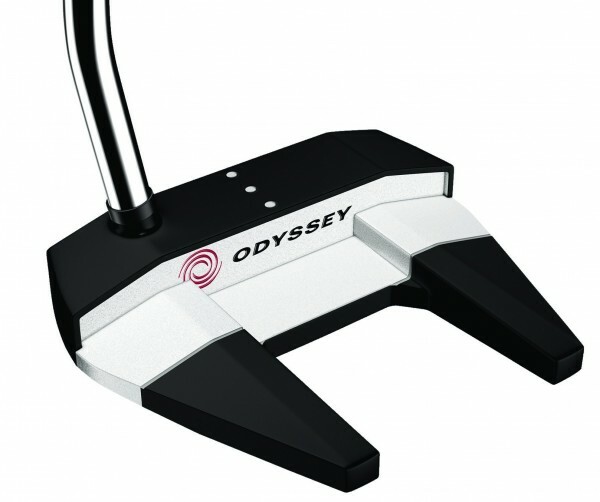 The new Odyssey Versa putter features a High Contrast Alignment system that helps solve alignment problems. The black and white contrast on the putterhead accentuates the face angle at address, through the stroke and at impact. It almost feels like having a T-Square ruler on your putter – ensuring you have a full 90-degree, perpendicular alignment. The Versa line of putters also debuts an improved White Hot® insert. The new insert has a very soft feel, and extremely quiet sound at impact – probably the softest and most quiet impact for any putter we’ve ever tested. It was so soft and quiet, in fact, that our actual putts felt a lot like we were just making practice swings (you almost don’t hear the impact), which helped our overall consistency. The Versa is available in mallets and blades, with a variety of styles/models. RRP: $219. www.odysseygolf.com/Versa. Another critical part of golf (which is often overlooked) is your connection to the ground. A stable base translates to better consistency and power. And a light, comfortable shoe goes a long way to providing stability and decreasing fatigue. The new adizero Tour golf shoe from adidas Golf is 38% lighter than the TOUR360 ATV and is specially-designed with ultra-light materials to deliver tour-proven performance without sacrificing stability. We found the adizero Tour to be extremely light and comfortable, and true to the promise that “it’s like wearing nothing at all”. The shoes made our walking easier, which doubtless translated to more energy throughout the round. We breezed through the 18 holes and, believe it or not, we almost forgot to take them off when we got into the car (They were THAT comfortable). RRP: $199. www.taylormadegolf.com.au/adidasgolf. Next up: clothing. Now, let’s face it, nothing makes a statement on the course quite like a pair of plus-fours and the associated historical garb. And until recently, traditional golf attire has been hard to find in Australia. So we’ve been rapt to discover GolfKnickers.com, the world leader in traditional golf apparel. Created and designed by an Italian tailor who has been in the clothing game for decades, they specialise in an expansive line of men’s and ladies’ plus-fours or golf knickers. The company has a full line of matching argyle socks, caps, shirts, bow ties, and sweater vests — delivering a complete outfit. 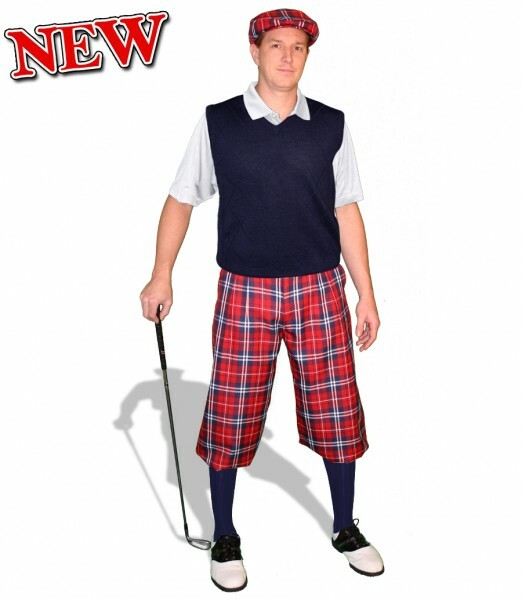 In preparation for my annual “Boys Golf Weekend” last month, I decided to deck myself out in a traditional outfit. So I hopped on to golfknickers.com and placed my order. As far as online ordering systems, golfknickers.com does everything right. The sizes are easy to determine, there are large photos of every item, and the “shopping cart” system is easy and quick. After a few clicks, my order was placed, and I got an instant email confirmation of my order (nice!). One week later (very quick, from the US), my package arrived. The items were individually wrapped in a professional manner, and were exactly as described. Top marks. 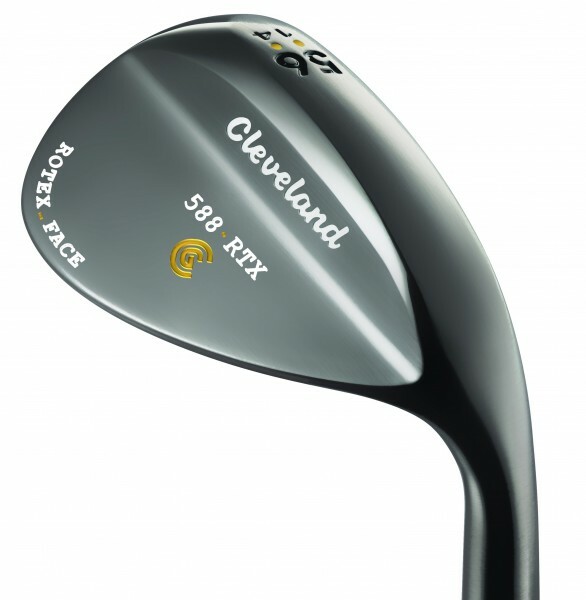 Finally this month, we tested out the new Cleveland 588 RTX Wedge. Sleek and streamlined, these wedges deliver the goods when it comes to short-game scoring. The Rotex Face is Cleveland Golf’s most advanced spin technology ever, and we certainly see why. We tested a 54-degree in the Black Pearl finish (also available in Satin Chrome) and saw plenty of our shots stop on a dime. The wedge became our go-to club for the few rounds that we tested it, and it did not disappoint. This wedge is suitable for players of all abilities. One Response to "We Tried It: Versa Putter, adizero golf shoe, Golfknickers.com, Cleveland 588 RTX Wedge"